The World Bank studies the policy regulation as well as supply chain performance outcomes across six sub-indices of the Logistics Performance Index and ranks countries based on their performance in all the indices. It is a perception survey based on the feedback of operators on the ground as they are the people who can best assess the aspects of logistics performance.Feedback of companies responsible for moving goods around the world like multinational freight forwarders and express carriers is taken on a structured online survey. Various aspects of international trade relating to streamlining border clearance procedures, ensuring access to physical infrastructure and quality of logistics services are assessed. Among the six sub-indices of the Logistics Performance Index, India improved the most on "the efficiency of customs and border management clearance", jumping from 65 in 2014 to 38 in 2016. Recent reforms at Customs, such as the introduction of a Single Window Interface for Trade (SWIFT) and electronic messaging system between Shipping lines and Custodians for electronic delivery order,filing of import and export declarations and manifests online with digital signature,extension of Customs’ risk management system to other regulatory agencies to ensure risk-based inspection, reduction of documents required for export and import, extension of 24x7 customs clearance facilities to 19 seaports and 17 air cargo complexes, removal of limit on the number of consignments released under direct delivery,etc.,have resulted in improvement in the indicator. 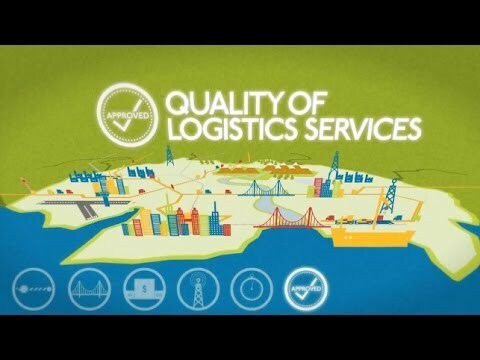 - The competence and quality of logistics services, improving from 52 to 32. On the remaining two sub-indices - the ease of arranging competitively priced shipments and the frequency with which shipments reach consignees within scheduled or expected delivery times - by 5 and 9 places respectively. The World Bank Group's bi-annual report ‘Connecting to Compete 2016: Trade Logistics in the Global Economy’, launched on Wednesday, captures critical information about the complexity of international trade. The Logistics Performance Index (LPI) within the report scores 160 countries on key criteria of logistics performance. The scores are based on two sources of information: a worldwide survey of logistics professionals operating on the ground (such as global freight forwarders and express carriers), who provide feedback on the countries in which they operate and with whom they trade; and quantitative data on the performance of key components of the supply chain, such as the time, cost and required procedures to import and export goods. Global trade depends on logistics and how efficiently countries import and export goods determine how they grow and compete in the global economy. Countries with efficient logistics can easily connect firms to domestic and international markets through reliable supply chains. Countries with inefficient logistics face high costs – both in terms of time and money – in international trade and global supply chains. India’s improvement in Logistics Performance Index is ample evidence that our competitiveness in manufacturing and services is also improving which will provide the required boost to the Make in India programme.